By the authority of His Imperial Majesty, Emperor of The Grand Imperium, Sovereign of the Nova Terran Empire, Cult of Code, Academy, Lux Val'ota Covenant, Kingdom of Al'ka-Nu'we, and future Sovereign of the Imperium Vulpis: This document is to be ratified into Law across all territories and nation-states of The Grand Imperium, to apply in all cases of interaction between His subjects and signatory parties of the Peritainia Galaxy. In all instances of 'The Grand Imperium', this is seen to represent every current and future nation-state under His Imperial Majesty's rule. 1A): The Grand Imperium will open an Embassy on the capital world of each Signatory Nation to further diplomacy. 1B): The Grand Imperium will make room for the opening of an Embassy on Nova Terra for each Signatory Nation to further diplomacy. 1C): The Grand Imperium and Signatory Nations will engage in regular discourse to further diplomacy. 1D): The Grand Imperium and Signatory Nations will respect all current and future signed agreements (Commercial, Migratory, Research, etc) until such time as those agreements are dissolved or nullified, in order to further diplomacy. 1E): The Grand Imperium will not intrude upon the borders of any Signatory Nations without permission or invitation, and no Signatory Nation will intrude upon the borders of the Grand Imperium without permission or invitation. 1F): The Grand Imperium will guarantee full non-aggression with all Signatory Nations, which will only be revoked in the case of a cessation of diplomatic ties, or a request from a Signatory Nation to become a nation-state of the Grand Imperium. 2A-A): Hostile fleet actions against Grand Imperium territories, or allies. 2A-B): Hostile fleet actions against nations that have had their safety guaranteed by the Grand Imperium. 2A-C): Repeated assault or enslavement of Grand Imperium native sapient species despite two warnings to desist. 2A-D): Involvement in seditious or unrest-inducing behaviours within the space of the Grand Imperium, or attempts to force governmental or societal change on behalf of foreign powers. Investigation to ascertain proof of said actions will be performed by His Most Holy Orders of The Imperial Inquisition, and findings published publicly where applicable. 2A-E): Actions of espionage or subterfuge with the perceived intent of destabilising the Grand Imperium's stability in any sense, or the supporting of dissenting or rebel factions within the Grand Imperium. Investigation to ascertain proof of said actions will be performed by His Most Holy Orders of The Imperial Inquisition, and findings published publicly where applicable. 2A-F): Repeated border incursions against the Grand Imperium despite two warnings to desist. 2B): The Grand Imperium reserves the right to defend itself against any and all military or unapproved non-military intrusion into its space with full force under Grand Imperium law. 3A): The Grand Imperium will not expand its borders closer than five hyperlane jumps of any Signatory Nation. 3B): The Grand Imperium will not annex or vassalize any Signatory Nation of the Pax Imperialis without clear and open requests from that nation for inclusion in the Grand Imperium. 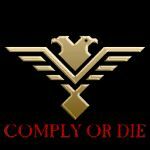 3C): The Grand Imperium will not impugn upon the borders of any Signatory Nation, nor attempt to force or intimidate them into any act of compliance with the Grand Imperium's goals or desires. 3D): The Grand Imperium will acknowledge and respect all current border dispositions of Signatory Nations of the Pax Imperialis, as well as any projected expansion of up to fifteen hyperlanes from current borders within the next ten Nova Terran Solar Cycles - which will fall under clause 3A. 3E): The Grand Imperium will unequivocally dismantle any and all intelligence facilities constructed or established within the territory marked as future expansion by Signatory Nations, and cease any military or infrastructure build-up in those areas. 4A) The Grand Imperium will not consider valid any Signatory Nation that is in a state of Open War with the Grand Imperium, or its allies. 4B) The Grand Imperium will not consider valid any Signatory Nation that practices Sapient Slavery. 4C) The Grand Imperium will not consider valid any Signatory Nation that repeatedly and publicly defames or slanders His Imperial Majesty or His subjects, beginning from the point of signing the Pax Imperialis. 4D) The Grand Imperium will not consider valid any Signatory Nation that violates any clause of the Pax Imperialis as it applies to Signatory Nations, beginning from the point of signing the Pax Imperialis.